It has become evident lately that the floatation therapy has numerous physical and mental benefits simply due to the fact that the therapy is able to provide an unparalleled level of deep relaxation that only those who have practiced meditation for years have been able to enjoy. 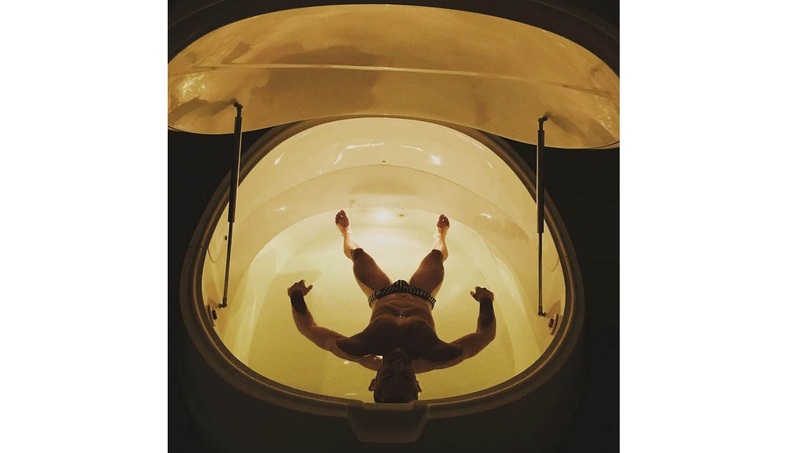 This is because floatation therapy basically eliminates or rather reduces the sensory input to a very minimal and based on the fact that 90% of the workload cut out for our central nervous system is attributed to external stimuli, the reduction in the workload automatically draws energy inwards and a parasympathetic response is triggered. If we were to peel of the layers of the parasympathetic response to its core, what will be found is that this response is basically a mechanism through which our bodies regenerate itself naturally. This means that the chemical and metabolic balances within us are recalibrated. Among the ‘almost’ magical activities that take place during this deep relaxation include faster or accelerated healing, enhanced production of T-cells which is critical towards strengthening our immune system. Apart from that the induced deep level of relaxation has also been observed to benefit our cardiovascular construct or otherwise referred to as vasodilator effect where the entire circulation system of our biological domain is enhanced and at the same time reducing the blood pressure levels and heart rate frequency. The benefits do not just stop there as the elimination of gravity or rather the reduction of gravity’s impact on our body encourage most of our muscles and as well as joints to discharge tension which is the reason behind the fact that those who suffer from musculoskeletal and rheumatic issues are often referred to undergo the therapy. From the same point of view, it is also the reason as to why expectant mothers are also encouraged to undergo the therapy after consulting their doctors and it is not uncommon for pregnant women to do the therapy all throughout the entire duration of their pregnancy – 9 Months! It has been found that during the therapy the brain moves or eases into a theta state at which point production of endorphins is triggered and subsequently released into the subject’s bloodstream, this automatically reduces pain sensitivity and fatigue. Enhanced levels of endorphins in our system have been proven to promote a generally positive sense of well-being and feelings associated with happiness which does not just increase vitality, but also reduces stress and tension levels quite significantly. During the same time, stress hormones in our system which include adrenaline and cortisol are greatly reduced which impacts receptor activity and organ related processes in a positive way. The combination of all these has a significant impact on stress-related health problems which include chronic headaches, hypertension and even insomnia. Looking at the amount of data that has been collected over recent years on the subject of floatation therapy, it has become clear and present that the therapy is indeed successful in recalibrating health from a ‘supplementary’ perspective and that could most probably be the reason as to why medical professionals these days recommend floatation therapy to their patients for just about anything.